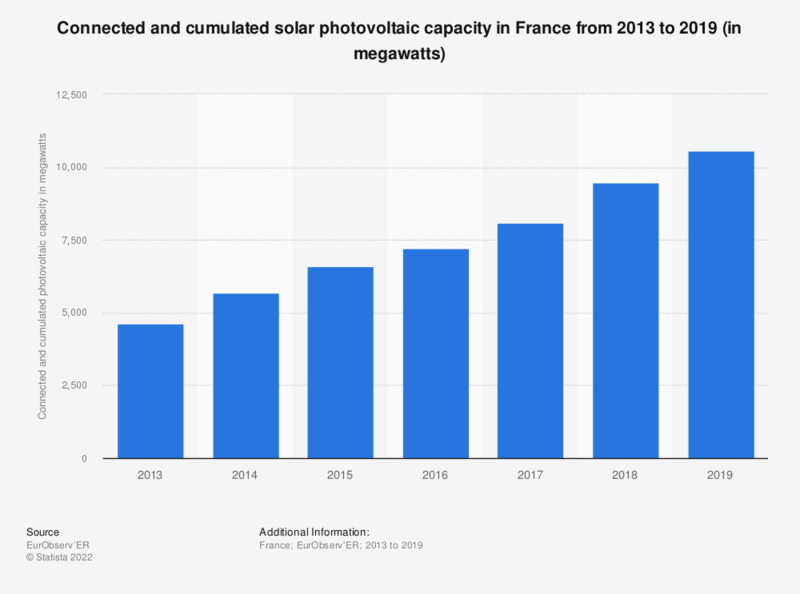 This statistic shows the connected and cumulated solar photovoltaic capacity in France from 2013 to 2017. In 2017, the total connected and cumulated capacity from solar photovoltaic installations in France was 8,074.6 megawatts. According to the source, the overseas department is included for France. Data from 2013 to 2015 was taken from a previous report.